The audience in the Olivier Room at National Theatre buzzed with an determined energy yesterday. Determined for change. It had also probably never looked so diverse! The theatre included subtitles on a screen and 2 signers for the deaf. People of all cultures, backgrounds, abilities and ages (the youngest included a 5 year old and a baby of just a few months) sat side by side with the same aim. 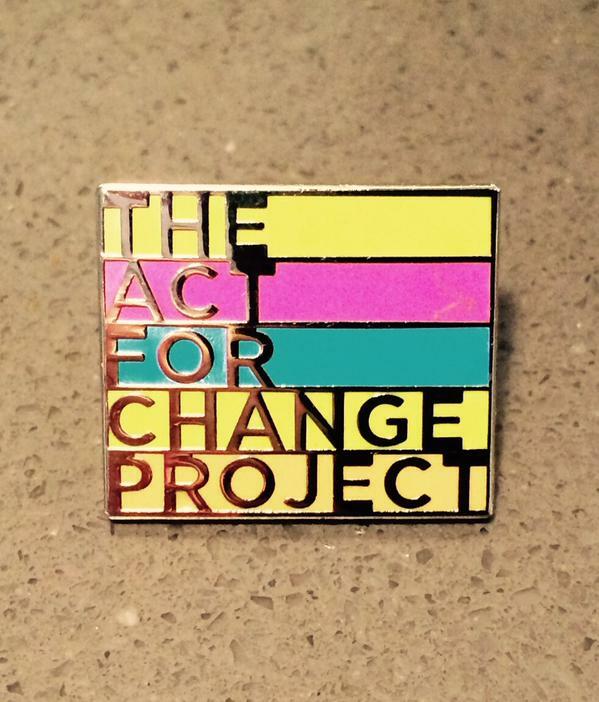 The event was The Act For Change Project diversity debate, a campaign group which have risen significantly in the last year promoting and campaigning for diversity within the live and recorded arts (AKA TV, Film and Theatre) within the UK. The founder Danny Lee Wynter is an experienced, trained, frustrated actor who decided to take action and has built a movement full of artists, creatives, art-lovers and fans. Of course, this isn’t a new discussion. Black, Asian and Minority Ethnicities have been having these debates for decades, I myself have been part of many of these discussions with other frustrated actors and creatives. “Where are our roles?” “Why isn’t more diverse work being commissioned?” “All is get is stereotypical ethnic roles” “I wish there was more work for me?” “I had to audition for the ‘black’ role even though I was probably more suited to the lead”. These debates are a regular occurrence when talking to a British actor about their career but one that Danny has decided to bring to the mainstream, whilst creating a strong army on the way and for that we thank him. Click here to read the hilarious yet devastating open letter Danny wrote to Ben Stephenson, Outgoing commissioner to BBC Drama earlier this year. The Act for Change debate was chaired by Shami Chakrabarti, head of civil rights group Liberty. Panellists included actors Adrian Lester and Cush Jumbo, director Phyllida Lloyd, critic Mark Lawson, shadow culture secretary Chris Bryant and Jenny Sealey, co­‐director of the 2012 Paralympics Opening Ceremony. 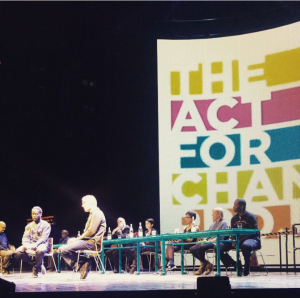 The audience included the culture minister Ed Vaizey and actors Cyril Nri (RSC), Jimmy Akingbola and Nicholas Pinnock. Everyone wanted their voice to be heard and hearing other’s experiences really brought it home that there is a massive demographic of people who don’t see really a representation of themselves ANYWHERE in the arts, which is shocking considering art’s sole purpose is to represent life and act as a mirror to society. Asian actors of Chinese background have trained, spent their money, time and invested years into a profession which currently holds no roles for them to work. I felt disgusted and let down sitting in that huge auditorium. This is 2015 people. When you think of the National Theatre, it’s a huge space built solely for the purpose of representing the whole of Britain and telling it’s stories. 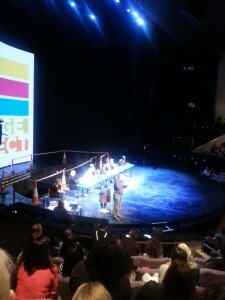 The National Theatre director Rufus Norris was interviewed during the debate and recognised that there is a lot of work to do. He also highlighted the huge lack of diversity in hiring staff from BAME and disabled backgrounds backstage. In 2014 only 15% of staff were from ethnic minorities and disabled backgrounds. FIFTEEN PERCENT?! Yes people, this is a Theatre that represents the Nation. This man is paid over £100,000 per year, the least he could is implement the basic requirements of the National Theatre and create a balanced range of theatre productions for the City of London and the Nation which reflects it’s people. The fact that Norris himself said back in 2013 that black actors aren’t given the same opportunities as white actors and and criticised how far behind America we are with colour-blind casting. This is a man who directed the legendary Marianne Jean-Baptiste on her first British performance in 10 years in ‘The Amen Corner ‘ with an all-black ensemble. Rufus Norris is fully aware of the unbalanced state of the arts, I’m just glad he wants to do something about it. 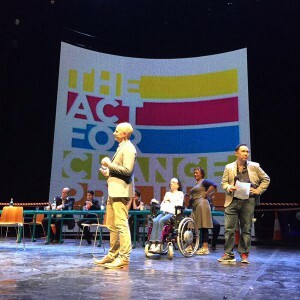 The mission is simple: for the live and recorded arts to represent the Britain of today as it should like a mirror image, to strengthen diversity in the arts upfront on the stage and within employment behind the scenes; to also include those in society who are unrepresented due to their disability or ethnicity. Norris revealed he was yet to decide on whether the NT should introduce quotas for greater diversity at the venue and is considering it, despite claiming hiring backstage and reaching the necessary diversity was much harder than on-stage. His aim was 20% even though 2014-15 had a high on-stage BAME figure of 33% fueled by the New York transfer of David Bryne and Fatboy Slim’s tale ‘Here Lies Love’ which followed the life of Imelda Marcos, the First Lady of the Phillipines and also the Mumbai-based adaptation of the book ‘Behind the Beautiful Forevers’. In my opinion it shouldn’t take two plays set in Asia and India for there to be ethnic minority actors on stage, front and centre, it should be the norm. 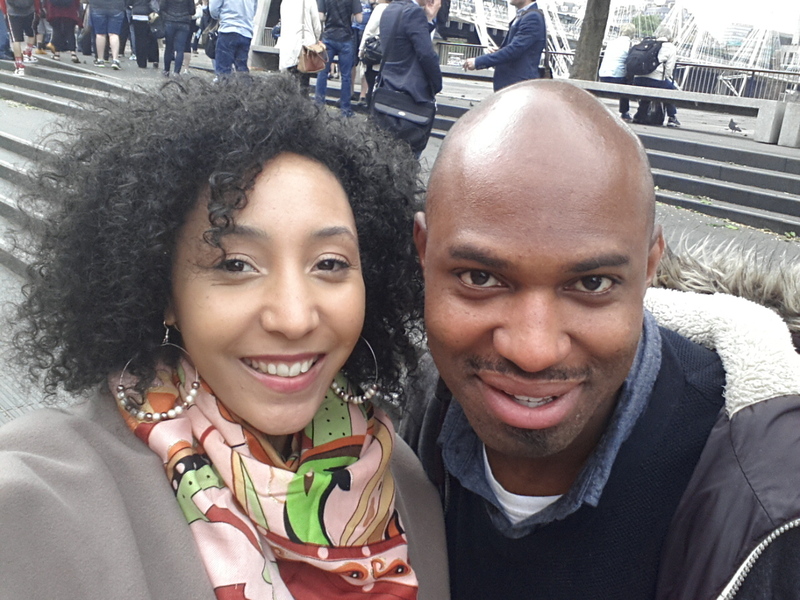 Cush Jumbo is an award-winning, extremely talented powerhouse, a lovely actress who’s shared her frustrations with me previously during a conversation we had about the state of play in the UK. We met years ago and despite her success, there is still a constant battle for representation as an actress, of mixed race with an unusual name. 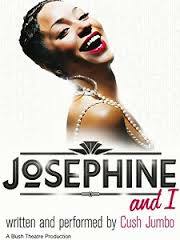 Cush is an actress who decided to write, produce and star in a one-woman show called ‘Josephine and I’ based on Josephine Baker. She had an idea and didn’t see anyone else producing the story she wanted represented, so she did it herself! After a small run at the Bush Theatre, directed by Phyllida Lloyd, the play transferred to New York and won numerous awards. Cush (who has a regular role on ITV’s Vera) also recalled her experience during the debate, of being at the Olivier Awards and called it a ‘lie’. “I remember it really hitting me in the face when I sat in the audience for the Oliviers and realising that I was one of the only brown people there,” she said. “And the reason I thought it was so unfair is because that’s not the industry I work in. It’s fake. It’s a lie.” I totally agreed with her, the industry is not just filled with white middle class men and women, they are just the ones who are fortunate enough to be the gatekeepers, unfortunately they are the ones who also lock many out. The fact that they may not even know that they are doing it, by hiring people that look like them and that they can relate to, is even worse. The BAME experience just doesn’t come into their train of thought. “We have to get the keys of buildings into the hands of [minorities]. Things have changed in the past 10 years. Women are running some significant, so-called ‘big hitter’ London theatres: Madani [Younis] is running the Bush, there are big changes everywhere. But white middle-class men need to take on associates who are not mirrors of themselves.” Huge cheers and applause erupted after this statement. I wanted to spring from my seat and hug her myself if I’m honest! Phyllida is a woman who directed an all-female cast of Julius Caesar at the Donmar, with Cush firmly in place as Mark Anthony. Not one to be messed with. 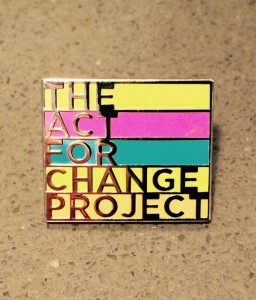 I thought I’d share with you a couple of videos I came across a while ago of Danny Lee Wynter sharing his experiences and how Act For Change was founded. The video below was filmed just after the 2015 General election. We are the only ones that can force the hand of the gatekeepers, create our own work, support each other’s work, connect and network so that we can produce pieces that reflect the forgotten, yet important demographics that make up our society and start to tell our story our way. I’m looking forward to the next one and all the developments in between! 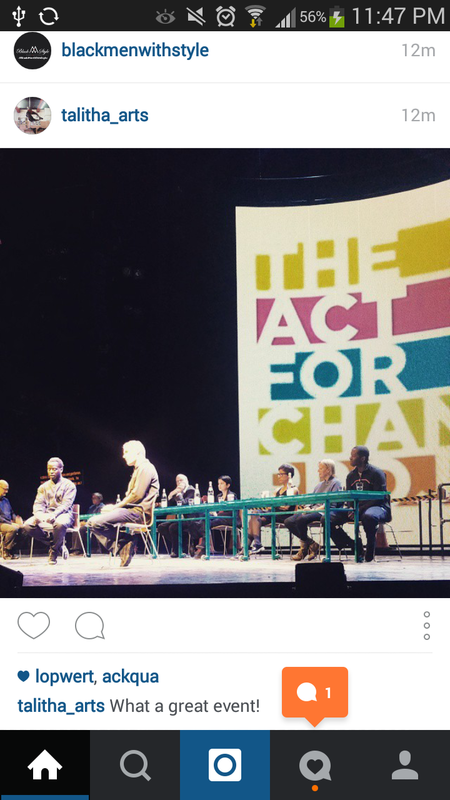 Adrian Lester highlighted in The Stage.